Short term financing will help you cover your immediate short term financial obligations. People commonly use short term financing when buying a new home. They need the cash from selling the existing home to buy the new home. Short term financing allows you to meet your financial obligations on two mortgages along with the other expenses associated with purchasing and moving into a new home until the existing home is sold. This short term financing “bridges the financial gap” between those events. What Types of Loans Are Best for Short Term Financing? 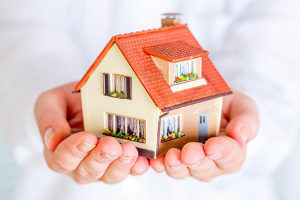 Bridge loans and HELOCs (home equity line of credit) are the usual financing tools people use for short term financing to facilitate the purchase and sale of a home. Bridge Loan. Bridge loans are not used as often as they once were. They entail more risk for lenders than other types of financing; the interest rates tend to be about two percent higher than the average rate for traditional 30-year fixed rate loans. They may also have additional fees of two to four points. A bridge loan is usually secured by property you already own. Your ability to qualify for a bridge loan will factor in all of your financial obligations, including your ability to pay the bridge loan, your mortgage, and any other debts and bills you have. You can repay through regular set payments, or pay it all when the home is sold. Customarily, a bridge loan becomes due as soon as six months and up to three years. Extensions may be needed if a sale on your home has not closed by that time. The main benefit of a bridge loan is that it allows you to purchase your new home and not make the payments on the old home is sold. 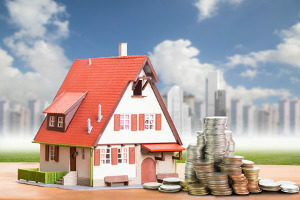 Once the old home is sold, the loan balance becomes due, along with all accumulated interest. HELOC. Another way to access short-term financing is through a HELOC. HELOCs are more readily available to a homeowner with good credit and enough equity in the home to cover the amount of funds the homeowner needs. A HELOC is much less expensive than a bridge loan. Not only is a HELOC easier to obtain and cheaper than a bridge loan for creditworthy borrowers, a HELOC gives you the flexibility of accessing only the amount of funds you need on an ongoing basis. You pay interest only on the amount of credit you actually use. Another advantage to a HELOC is the initial repayment period often requires interest-only payments. You may not have to repay any principal for a set period of time, or until your home is sold. This gives you time to shop for a new home and wait for a qualified buyer for your existing home. 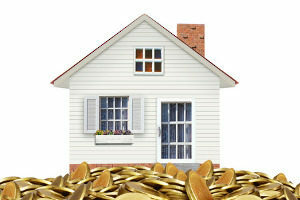 When your home is sold, you can pay off the HELOC. Whether you use a bridge loan or a HELOC, you should apply for it and close before you list your home for sale. Some lenders will not qualify you for a loan if your home is listed for sale. Additionally, your lender will factor these loans in when qualifying you for the loan on your new home. Which of These Loans Would Be Best for You? A HELOC is the best option but only if you can afford the payments on the HELOC, the old mortgage, the new mortgage, and any other debt obligations you may have. A bridge loan may be more expensive but you do not have to make payments on it or the old mortgage until the home is sold. 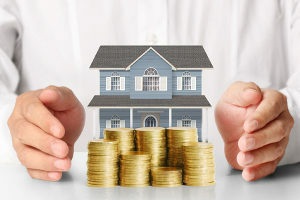 If you are not sure, you can arrange a HELOC and have it in your back pocket when you start looking for your new home. The HELOC will be available if and when you need it. It costs you very little, and you pay nothing on it until you access the credit. Let Fairfax Mortgage Investments help you with your short term financing needs. Contact their loan officers to see how they can help. Fairfax Mortgage has more than three decades of experience in the business and have helped homeowners throughout Northern Virginia, Maryland, and Washington DC obtain the funding they need to ‘bridge the gap.’ Get started online or call their office today.